With Thanksgiving just a few days away, I've been doing a lot of thinking about holidays of past, and my grandma is where my thoughts have landed mostly. My grandma was a giver. She lived her life helping others. She had a strong love for Jesus, and I think she tried to follow in His footsteps to the best of her ability. There aren't too many childhood memories that I have that don't involve my Grandma Janell, and when she passed away a few years ago, many people would tell me that they thought she was THEIR grandma when they were little because she was always doing for them too! She never slowed down. When she wasn't babysitting us kids, she was teaching the Sunday School class or tearing up the rummage sales trying to find good deals for needy people. She drove the JJR bus to transport handicapped children to and from school. I would ride along with her some days and I remember the special needs children always laughing and having a great time on the way to school. I once asked her what "JJR" stood for, and she said "Jolly Joy Ride!" Something tells me she was pulling my leg, but I like to think JJR can't stand for anything better, because she definitely made those rides full of joy for the kids! Stuffing my face, but still gotta stick close to the big bowl of baked beans! We are going to be guests at my in-laws for Thanksgiving this year, so I'll be bringing along a side of Grandma Janell's baked beans. Not only to get my bean fix, but to feel grandma is there is spirit, celebrating the holiday with us too. What's your favorite Thanksgiving side dish? 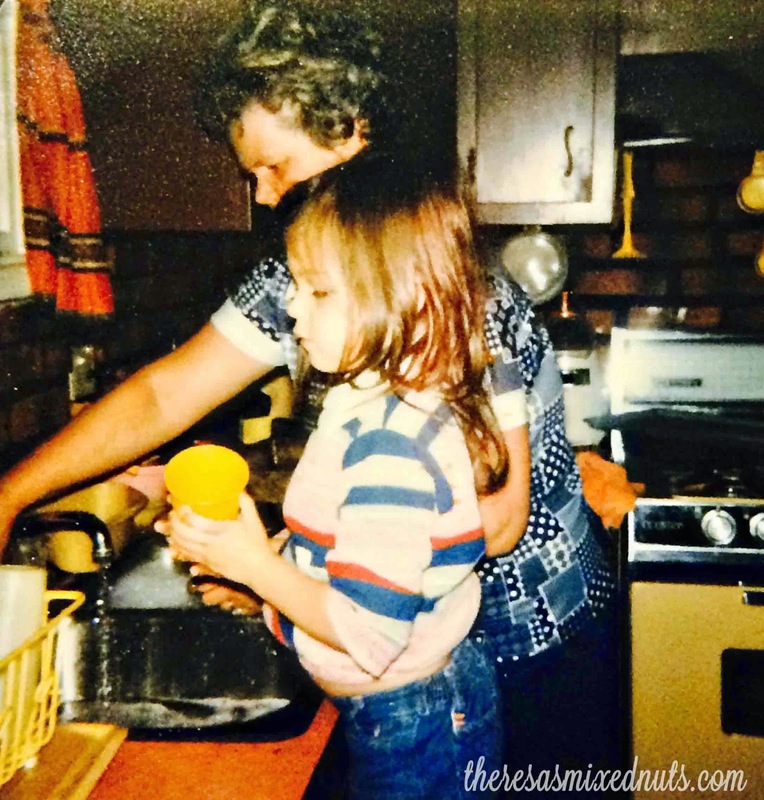 Does your family have any recipes that have been passed down through the generations? BBQ sauce!! that's the way to do it! Your grandma sounds like a sweetie, Theresa. OMG, you look exactly the same as you did when you were a little girl! My mom always made up baked beans and I make them now, but more for cookouts and parties. YUMMY! What great memories you have of your grandma, Theresa! She sounds like an amazing woman with a BIG heart. My mom made about the same recipe only she used ketchup instead of BBQ sauce. I eat a lot of healthy beans almost every day but they are navy and black bean, without the extra ingredients! Awesome memories indeed. She sounds like she was a wonderful person and grandmother. Your grandma sounds like a true star! And like a true inspiration! I'm happy that you have some fond memories thanks to her! Nope, no family recipes, we mostly ate crappy food throughout my childhood because my grannies didn't really cook and my late father, even though he was a cook, never cooked for us. These beans sound just like my grandma's! I love old recipes like this! No one can cook like our Grandma's!! Love seeing the photos and hearing the stories of your grandma. It's so great when a certain recipe brings back so many memories. I've never tried baked beans before. My hubby says this looks incredible ... and he would SO know! Memories of Gramma are always wonderful. I love the beans. They look amazing. Cranberry sauce-I can never get enough of it--that and pumpkin pie!! Those baked beans look very easy to make and sound delicious! I love these classic pictures. What awesome memories you have. We make our beans similar but not the bacon. I will need to add that next time. That's why Thanksgiving is my favorite holiday. 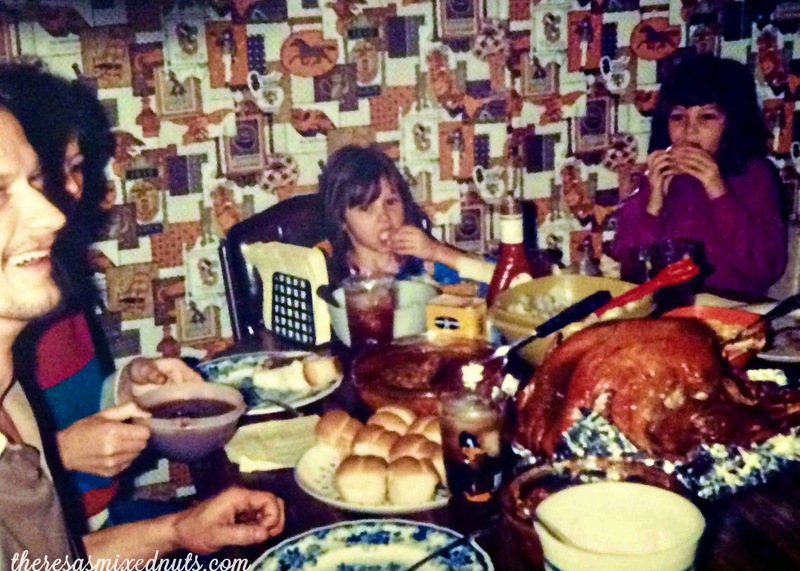 There is so much good food and family traditions that go along with it. Baked beans are always so good. I love them for any holiday. Great pictures! I am not a massive bean fan but this looks good. Yummy! I love recipes like this that get passed down! And I love all the pictures, too! What great memories! thanks for sharing the recipe. Happy Turkey day! My grandparents moved to Australia from Italy years ago. As such, to me no one existed earlier than them. Seems like a good recipe to give a try! Great recipe! I use the same beans only I add mustard, onions, ketchup and brown sugar instead of the bb1 sauce. It's the memories that make the meal special. THere are alot of people we miss around our Thanksgiving table these years but it's funny how a certain food can take you right back! Like visiting them for a little while. What some amazing memories. So nice to have something that has been passed down through the years. I love hearing the stories. The recipe looks delicious! I love baked beans with a passion, it's to die for! These photos are just gold. Happy Thanksgiving to you and your family! I love baked beans with toast and butter. I will definitely be trying this recipe. What fun to have a favorite dish and memories to go with it. My family don't add baked beans to our meals but I have enjoyed them here and there other times. What a great memory! I've never made baked beans from scratch, but these sure do look good! What a great memory to have! Even better a recipe so you could never possibly forget! 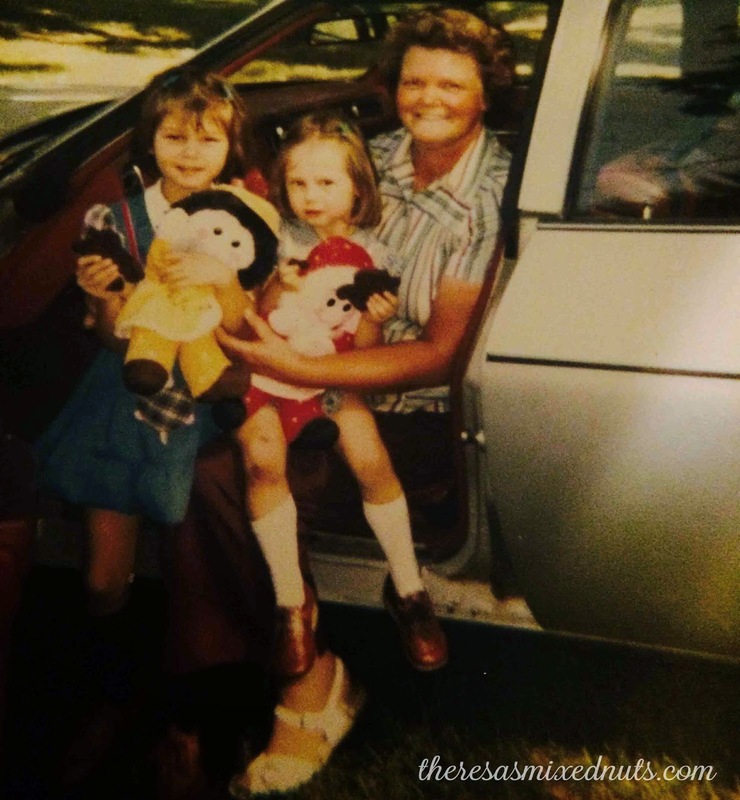 What great memories from your grandmother. I love remembering childhood family meals. Great idea to keep a family recipe going! I love baked beans! What a wonderful grandma! I always try and use my Grandma's big blue plate. It's the only thing I have of hers. My mom makes really good baked beans. I was thinking of bringing twice baked potatoes and sweet potatoes. Then for desert I'm bringing my first ever poke cake. Oooh, I hope you post a pic of your poke cake on Facebook. I have never made one myself. Your desserts are always so pretty!